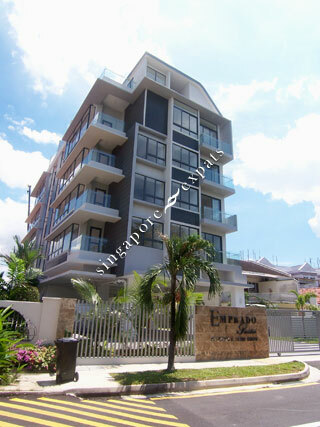 Emprado Suites is situated along Lorong N Telok Kurau near East Coast Road. It is near the East Coast beach, seafood restaurants, Parkway Parade Mall and eating outlets. Accessibility is the buzzword of Emprado Suites. It is only a 15-minute drive from the Central Business District, and conveniently located near several reputable schools. You are also only a stone's throw from major recreational hubs like Parkway Parade, Chinese Swimming Club, Marine Parade Community Club and East Coast Parkway, making the beach within reach.